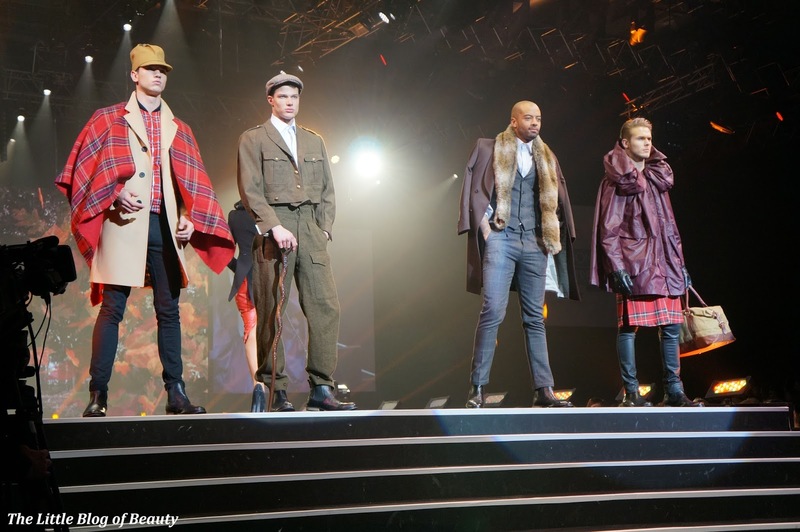 The first time I went to The Clothes Show live was many years ago on a school trip and I've returned several times over the years. Since being made redundant a few years ago it's not really something I've been able to afford anymore but last year I was really excited to win tickets to go. I tried to win tickets again this year but didn't get any so about a week before it started I thought I'd chance applying for a press pass. I really didn't think I'd get one so when the email landed in my box saying I had got one I did a little happy dance! I decided to go on the last day to see if this really is the best day for bargains. One of the main reasons why I love going to TCS is for the fashion show. 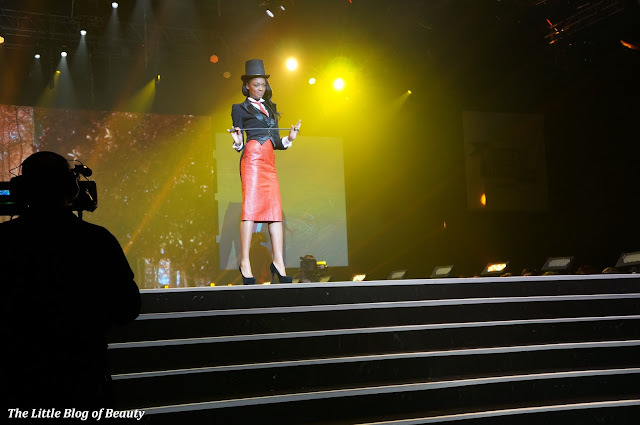 The fashion show at TCS is not like a traditional fashion show but is broken down into separate themed sections that include dance as well as the models modelling the clothes. I think I probably enjoy the fashion show so much because of my background in dance and performing and I'd love to be brave enough to audition to be in the show one year. I borrowed my dad's camera and was lucky enough to get to sit pretty much right at the end of the catwalk so I'm really pleased with the pictures I managed to get. It was almost impossible trying to narrow down the one's I wanted to show you! Is it me or is one of the male model's the spitting image of Taylor Lautner? If you recognise the gorgeous red haired model that would be because that is Jade Thompson, winner of Britain & Ireland's Next Top Model in 2011, and the 'face' of TCS. As always the fashion show was amazing and by the end of it I was itching to be up there with them, especially when they did a section to Ellie Goulding's single Burn as I was involved with the music video and everytime I hear the song I'm transported back to raving on an airstrip at 1am! After the fashion show I headed into the main show. In terms of the fashion stalls I have to say I was a bit disappointed this year. 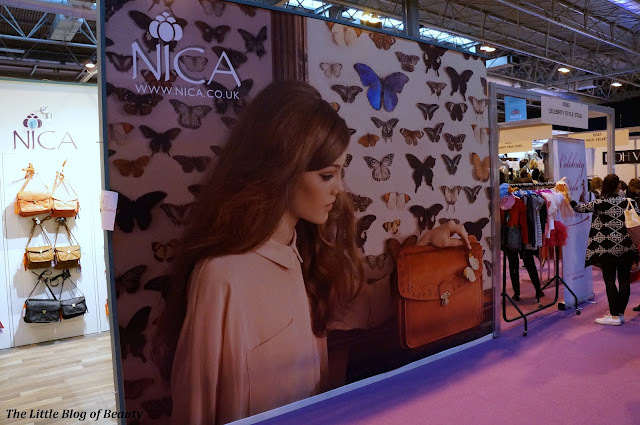 In previous years the bigger brands have always had stalls that were more like mini shops. They'd be enclosed with just a doorway and at busy times you'd have to queue around the outside waiting to get in because only so many people were allowed in at once. This year there were just two of these shop kind of stalls, one being for David and Goliath and a small one for Nica. The majority of the rest of the fashion stalls are more like the sort of stalls you'd expect to find on a market. Several of them obviously have the same suppliers as you found the same items on several different stalls. I'm not sure why there appears to be fewer fashion brands than in previous years but I'd love for them to come back again in the future. 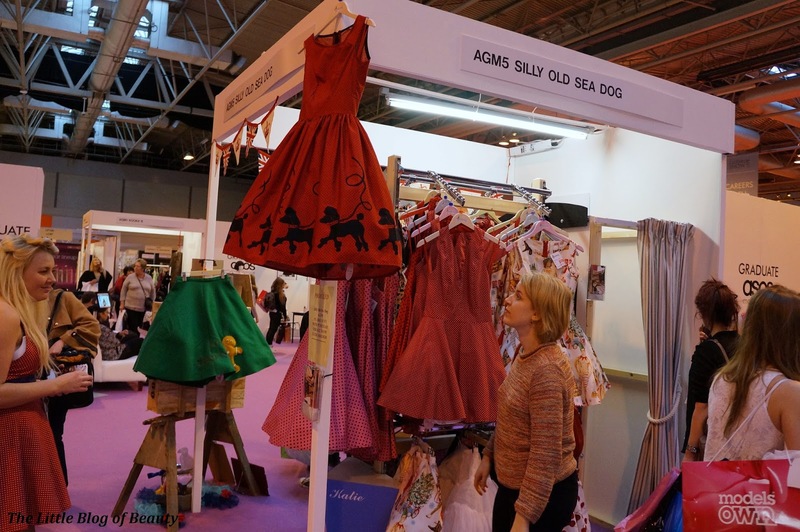 One stall that did catch my eye was for a brand called Silly Old Sea Dog, who make handmade 50's style clothing. Their items are made to order and can also be made to your requirements. They are also stocked in a couple of stores and when I checked where they were I was surprised to find one is only a few miles away from me in Derby city centre! I really like 50's style clothing and at some point I'd love to get my hands on a 50's dress, complete with the proper petticoat to go underneath, so I'm sure I'll be paying a visit to my local stockist in the new year to see what they have. I was intending to stick around until the very end of the day to see just how cheap things became as the stall were packing up. Unfortunately though my body can't take standing for a long time, lots of walking and carrying heavy bags so when my back gave me a sharp pain I knew it was a sign to head home. I only made a couple of purchases and just one fashion purchase which was a lovely satchel bag from Nica that was half price. When I got my new bag home and took it out of the packaging I discovered there was a fault with the lining inside the bag but Nica have been amazing and I'm just waiting for a replacement to arrive now. Apart from the fashion show I think my favourite part of TCS is the beauty hall, so make sure you keep an eye out for the second part of my Clothes Show post on beauty.